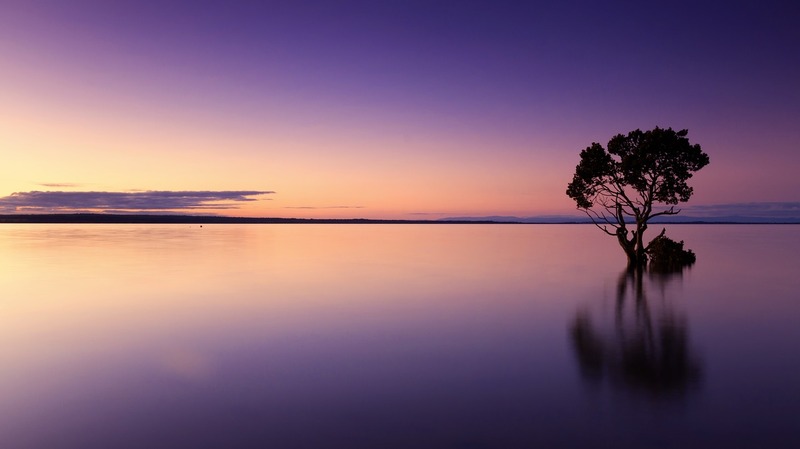 CALM SEAS AHEAD-WE CAN HELP! My goal is to provide quality legal representation for our clients at a fair price. In 36 years of practicing law, I have seen what happens in divorces, probates, bankruptcies, general litigation as well as child custody, paternity, child support, attorney general, and other family cases. I, along with everyone else at the Kritzer Law Firm, understand that our clients are going through some of the most trying and difficult times of their lives and we use our experience and knowledge of the law to help them through these times, and to make sure that the legal process works as well as it can for them and that they have every advantage that a skilled, seasoned, and compassionate legal team can give them. The Kritzer Law Firm was established in 1987. We are located in Houston, East Harris County, Texas 77015 in the Bank of America building, 12605 East Freeway, Suite 375, at the corner of Federal Road and Maxey Road close to Interstate 10/East Freeway just west of Normandy Road and north of Market Street. 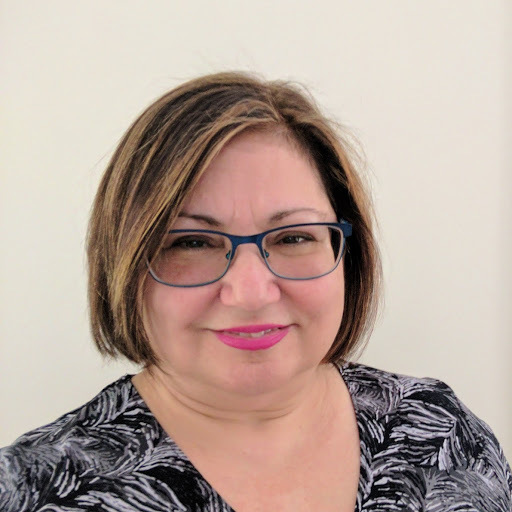 Elena Halachian-Kritzer, the owner of Kritzer Law Firm has a high degree of education click for Attorneys page and has been licenced and practicing law for 36 years. Attorney Kritzer’s associate attorney is Robert W. Davidson who also has a high degree of education click for Attorneys page and has been licensed and practicing law for 31 years. The Kritzer Law Firm is also privileged to have four outstanding legal assistants F. William Kritzer, Judy Brannon, Rachel Clark and Mark Kritzer click for Kritzer Law Firm Facebook page who have been handling legal matters for over 25 years. The Kritzer Law Firm prides itself in having handled legal matters for generations of Texas families. We have been centrally located in the East Harris County, Houston Texas 77015 vicinity collectively known as Northshore and Cloverleaf neighborhoods and in addition have represented Houston, Texas 77044, Channelview, Texas 77530, Galena Park, Texas 77547, Houston, Texas 77029, Houston, Texas 77028, Baytown, Texas 77520, Houston, Texas 77049, , houston, Texas 77078, Houston, Texas 77013 and several surrounding neighborhoods for decades. The Kritzer Law Firm has now expanded to include a large area of Northeast Harris County, Texas as well as southeast Montgomery County, Texas and western Liberty County, Texas, The hub of this expanded location is centralized at Stonehollow Plaza, 1422 Stonehollow Drive, Suite A, Kingwood, Texas 77339 just north of Kingwood Drive, just west of Green Oak Drive and just east of Chestnut Ridge Road and Rockmead Drive. There are several neighborhoods in Northeast Harris County, Texas that are being represented by the Kritzer Law Firm in addition to Kingwood, Texas 77339. They are Kingwood, Texas 77345, Atascocita, Texas 77346, Humble, Texas 77396, Crosby, Texas 77532, Huffman, Texas 77336, Spring, Texas 77373, Crosby, Texas 77562 and Spring, Texas 77390. In Southeast Montgomery County, Texas there are Porter, Texas 77365 and New Caney, Texas 77357, Splendora, Texas 77372, to name a few. If you are ready to divorce your spouse, you may be wondering whether you need to hire anyone for the job. If your case is complicated with property, children, or violence, you should look into the help that a divorce law firm can offer. You may be wondering how a divorce law firm can help you, as you might be considering saving money and doing it on your own. However, most people are greatly assisted by this type of attorney, especially in more complicated cases. Consider some of the ways that this kind of legal help can benefit your situation. Many people divorcing their spouse are not going through a simple situation. They often have property and children with the other person, and want to know the best way to walk away from the separation with the results they want. It is a good idea to use a divorce law firm if you have a house, cars, or pets together since you will need someone on your side to help make a compromise with your spouse. While you may have to go to court to determine who gets what, meeting with an attorney can allow you to find out your options quickly so that you know whether the results you want are even possible. Of course, having children together often makes this procedure more complicated. You will need to let your divorce law firm know whether you want full custody of the kids, and also decide the level of custody you want your spouse to have. It may take months or even years to figure out the details so that the situation works well for everyone, but approaching a lawyer about this issue is the best initial step you can take. If there was violence in your marriage, you might consider getting a restraining order. A divorce law firm can help you take the steps toward that document, allowing you to feel safe as soon as possible. This is especially important if you have children who you think are in danger, as well. A good lawyer should offer you the information you seek, and help you get started immediately on acquiring the restraining order you need. If you attempt to complete this process alone, you may find that not only do you fail to get the results you want, but you may also miss the support and encouragement that a lawyer can bring. Having a good divorce law firm on your side is often worth the money, especially if you need assistance determining the property you can take. Of course, making the best decision possible when it comes to your children, as well as getting a restraining order, is often even more important than figuring out property issuesArticle Search, and a good lawyer can help with it all. What was once a forbidden practice and only ever used as a last resort is now very common. The medium length of marriage in the US these days is around 11 years, and divorce rates have been rising steadily throughout the 20th century. Some 29% of marriages will suffer some form of ‘disruption’ and in many cases lead to a divorce. However how has divorce law changed over time? A Family Law mediator who mediates divorcing couples should have experience in divorce related cases and mediations, be ethical and have an ability to explain. Legal training for a divorce mediator is helpful, but specifically marital divorce experience is particularly important since the practice of divorce law requires not only skill and knowledge but the ability to understand how to assist parties. Mediation: It is one type of dispute resolution in which the participants meet with a trained neutral person, a mediator, in order to work through their issues. These meetings typically occur outside the presence of attorneys. After each session, a mediator will usually issue a written summary of what was accomplished, which can then be forwarded to the parties respective attorneys for review and input. A mediator does not take sides or represent the interests of either party but moderates the discussions between the parties, often making non-binding suggestions. The participants retain control over the process and therefore the results. The driving force behind mediation is the motivation to settle at a controlled cost in a controlled setting. Occasionally, the mediator will work in tandem with a psychologist or various other combinations of professionals in order to help the parties move effectively toward settlement. Interactive Mediation: It is a similar process but one that includes the participation of attorneys in the mediation sessions. Often attorneys will first prepare a summary of the case for the mediator, which saves time and effectively bringing the mediator up to speed on the unresolved aspects of the divorce. For example, it is entirely possible for parties to have resolved the matter of custody but not visitation; or to have resolved all matters concerning the children but not those pertaining to the division of the marital property. An interactive family law mediator may be an attorney or a retired judge. The interactive mediator may make non-binding suggestions and although the parties still retain control over the results, the mediator is an active participant as well as a moderator. Attorneys: It is typically advisable for the mediating couple to each have their own attorneys to review whatever agreement may be reached, as the agreement is a binding legal document. This is a safety valve which is well worth the expense, and that expense is typically dramatically less than what would have been incurred without mediation. The Attorney s role is to review all documents, assist in the preparation of the financial statement and all court filings. The Attorney can also be retained to bring the matter before the court for the court s final review. Litigation can become about winning. Mediation is about resolving. Litigation can become uncivilized and undignified, a far cry to the very civil beginning of love and a relationship. Divorce mediation MA is a voluntary process by which two people in a dispute meet with an impartial third party to arrive at an informed settlement of a dispute. A mediator is a neutral person who does not represent either party, but is a facilitator to assist individuals in reaching an agreement on the terms of their Divorce. He prepares a letter of understanding after every session. The letter of understanding summarizes the extent of any agreements reached after every session. From the letter of understanding, a divorce agreement can easily be drafted. Generally, with mediation, expenses typically associated with a divorce action are reduced substantially, even when considering the cost to retain the mediator. This is largely due to the fact that during mediation, it is the parties who do much of the hard work in terms of working toward an agreement, which is the most difficult part of the divorce process. Even if the mediation process is subsequently abandoned, typically the agreement reached, is often similar to the final agreement reached after expending untold amount of legal fees, wasting personal energy and time, as well as increasing the hostility and acrimony. Often people misunderstand the role of the mediator, and think that a mediator is an attorney who can represent both parties, and as such bring the matter to court. The role of the mediator is solely to bring people to a point of reasonable agreement, as a neutral party. Although the mediator may be an attorney, he or she is not functioning as an attorney representing the interests of separate individuals. The mediator is like a referee, and as such, does not get up to bat or play ball, so to speak. He/she stands in the middle of the two individuals and cannot take sides, unlike an attorney who advocates for one person, bringing the divorce through the courts. In Divorce, a court has jurisdiction primarily over 4 disputed issues, which are like tracks going in the same direction, but do not necessarily cross: . Custody . Child support . Division of Property . Alimony In divorce mediation MA, the issues to resolve can include some or all of the four areas over which the Court has jurisdiction. When the couple sits down with the mediator, they need to resolve all related problems as well. For example, if the problem area is visitation, they need to deal with that even if custody is not in dispute. The role of the lawyers in a traditional situation is to provide a voice of reason in an unreasonable situation. In mediation, the parties have the opportunity to find where they need to be reasonable in order to resolve their differences, thereby meeting their own needs. The reason the people are in mediation in the first place is that they are committed to end the dispute together, ostensibly reasonably. Family Law: Some Basic Things You Need To Comprehend. Anything regarding law can become complex to understand, especially when you don't understand the requirements that are involved or the terms. Even within family law, there is many things to understand. None of the states are completely the same either when it comes to the different laws regarding the family. Every state essentially has different laws and requirements to what is required for marriage, along with the other things that have to do with the family. Since there is so much to family law, we will concentrate more on the wedding aspects rather than two people who are marred and living together. For the most part, it is good to note that two people unmarried and living together do not have the same protection as those who are married. Engagement runs along the same along the same lines and does not mean anything more than a promise to marry. For that reason, when two people get engaged a woman is not supposed to keep the ring if they break up. There are some states that will allow a woman to keep the ring in the case that the person giving it, breaks off the engagement. As for other gifts, both parties have the right to keep all other gifts. When two people are married, there are a lot of advantages from the legal point. One of the thing is that they can file taxes together and have a family partnership under federal tax laws. Additionally, there are a lot more benefits in regards to estate, government, employment, medical, and death benefits. There is also the legal benefits, along with discounts, the family, and housing. Some of the states require blood tests, residency, along with many other things. Some of the states will allow two people to marry right after gaining a marriage license and everyone differs in regards to how long they are valid for. If you find out that your marriage is not valid after so many years, many of the states do have things to protect you. These kinds of protections are put in place to protect a person who may have been lied to and does not allow the other person to get away with just walking out of the marriage. In any case, the state that you live in should be where you check for the family laws. For the most part, no two states are the same with the laws that they have. So, knowing the laws of the state that you live in is the best protection. A bankruptcy attorney can bring clients through the tough situation of insolvency and into a better financial situation. This process can be hard to get through alone. It's best to trust a good lawyer. Troublesome financial situations are not uncommon in today's world. The cost of living is growing higher and higher. And it becomes easier to fall into a world of debt. This happens to many citizens each year. And unfortunately many people have to file for insolvency. These situations are indeed stressful. Most people associate the word bankruptcy with having hit rock bottom. But this doesn't have to be the case with the help of a good bankruptcy attorney. The right lawyer can help clients to fully understand the process as well as all of their rights. Most people don't know how this situation works. So what exactly is bankruptcy? When people hear this word they often imagine someone being evicted and losing their home as well as other items. But it involves much more than this. What this process really offers is protection. When a person is broke, he or she can pay back debts under the federal court's protection. And there are different chapters that a person can file for to pay back these monies. The process is unfortunate but the outcome doesn't have to be. A reputable lawyer can be depended on to make the situation a lot less difficult. One thing a bankruptcy attorney can help clients figure out is what chapter they may be eligible to file for. There is chapter 7 for instance. With chapter 7, a person's belongings can be sold to re pay some of their major debts. Good news is that many of people's belongings are actually exempt from being taken. A representative can help clients to figure out whether certain items are exempt or not. And then there is chapter 13. With this chapter a person must have a strong enough income. This income will be used to repay some of the debts. Once again, a lawyer can help clients to navigate this as well and figure out eligibility for these chapters. When tough financial situations occurPsychology Articles, things can become very confusing and stressful. Not many people can get through these tough times alone. It is important to have a good representative. Without a good lawyer people may misunderstand how things are supposed to unfold and may miss out on knowing their rights. There is a way to avoid the risk of being taken advantage of. And this is by hiring a good lawyer. The right bankruptcy attorney will be affordable and sensitive to everything that the client is dealing with. The top task of this representative is to get the client into an improving financial situation when everything is solved. The situation of debt doesn't have to be as terrible as many people think. A bankruptcy attorney can be the difference between whether the process is simple or difficult. The problem of extreme debt is common in today's world but it doesn't have to mean the end of the world for anyone. Everyone can recover from this. All it takes is the right guidance and a skilled lawyer. Individuals may now file bankruptcy under Chapter 7 or Chapter 13 of the bankruptcy law. Chapter 7 is most commonly filed because it allows the debtor to liquidate most holdings while keeping personal possessions, completely discharge most of his or her debts and start fresh. Chapter 13 is filed by individuals wishing to retain most of their holdings. Under Chapter 13, a payment plan is filed with the bankruptcy court which designates payments to creditors in order of importance. The debtor makes monthly payments to the bankruptcy court for a period of three to five years and the court pays the creditors. Both Chapter 7 and Chapter 13 can stop a foreclosure if they are filed before the foreclosure takes place. Once bankruptcy is filed, creditors may no longer contact debtors. People who are overwhelmed with medical bills and credit card bills usually choose Chapter 7 in order to wipe out as much of their debt as possibleFree Web Content, while people trying to keep property and vehicles may prefer Chapter 13. Bankruptcy law in the United States is designed to ensure that no individual faces an undue burden as a result of his debts. If your debts are truly too much to handle, you can declare bankruptcy and some or all of the debt will be forgiven so you can start over with a (mostly) clean slate. Before you declare bankruptcy, though, you should know the top 10 facts about bankruptcy law. Bankruptcy laws are federal laws and the cases are brought in federal court. This means the bankruptcy laws are the same every place in the entire United States and you must bring the case in federal bankruptcy courts. While these courts may be located in multiple different states, they are still federal courts, not state courts. You have to petition for bankruptcy with a judge. Filing bankruptcy is not as simple as just turning in some legal papers… you actually have to go to court to do so. Chapter 11 Bankruptcy is for businesses only. Individual people cannot declare chapter 11. When a business declares Chapter 11 bankruptcy, the business is simply restructured – the company does not close and it can continue to operate, although a trustee may manage the assets. Some individuals may be required to file Chapter 13 bankruptcy. Under new bankruptcy laws in the United States, if your income is over a certain level – the median income for your state – and your disposable income – the amount you have left over after you pay all your debts – is high enough, then you will not be eligible to file the simpler Chapter 7 bankruptcy. Not all debts are forgiven when you file Chapter 13 bankruptcy. Under Chapter 13 bankruptcy, you are put on a court mandated payment plan. This means you don’t get a clean slate. You have to pay back a portion of your debts to creditors, depending on how much money you have available to you and how much you owe. Chapter 7 bankruptcy wipes out almost all debts. If your income is low enough to file for a Chapter 7, this will mean that almost all of your debts are eliminated. Debt collectors will not legally be allowed to contact you about those debts or to attempt to collect the money for those debts. Student loans and tax debt usually can’t be eliminated in any bankruptcy. Unless you can prove “undue hardship” which essentially means that you will be completely unable to maintain a nominal standard of living if forced to pay back your student loans or taxes – you will have to pay. The undue hardship test is very hard to pass. Normally, only those who have become totally and permanently disabled or who have otherwise experienced a dramatic shift that makes them unable to pay, are eligible. Creditors can occasionally force you into involuntary bankruptcy. If your debts are extremely high, creditors can petition the court to ask the judge to declare you bankrupt. If the judge does so, he may put you on a court mandated payment plan. You may be able to keep your home, even when you declare bankruptcy. There are homestead exemptions in most states that allow you to keep your house, no matter what kind of bankruptcy you declare. Your house generally can’t be worth more than a certain amount in order for it to be eligible for the exemption, and you will have to be or become current on your mortgage payments to stop the bank from foreclosing.